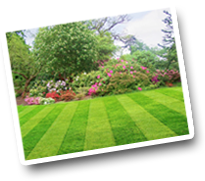 "Great Lawn Service Pizano Irrigation provided a quality service. I signed up with the organic lawn treatments. The prices were reasonable and the lawn looks great. I also liked the fact that they were professional." When the irrigation division arrives at a jobsite they come fully equipped to tackle any obstacle that might present itself. There is a 25 foot enclosed rolling workshop with a full inventory that is always stocked. They have the capability of installing several complete irrigation systems just with the inventory on hand. We ensure overall quality of the irrigation system. The purpose of an irrigation system is to apply supplemental water that is needed by turf and landscape plants when natural moisture and rainfall is not sufficient. A quality irrigation system is required to effectively distribute this supplemental water in a way that maintains healthy turf and landscape plants while conserving and protecting water resources. 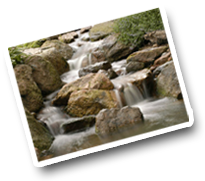 Our irrigation systems are designed to be efficient and to uniformly distribute the water. Your irrigation system should be regularly maintained to keep the integrity of the design and to sustain the efficient and uniform distribution of the water. To conserve water, the irrigation schedule should be changed or controlled as required depending on weather changes and environmental conditions. Green Hills provides a rain sensor on every installation which, according to precipitation, will shut down your system when it is not necessary to water. Zone layout is based on soil properties, slope, plant materials water requirements, root zone depth, weather conditions, site conditions, supply pressure, and minimum acceptable application rates. Other factors such as soil infiltration rate, slope, and design are considered when selecting nozzles and sprinkler heads to reduce the potential for runoff. Proper irrigation can minimize how much fertilizer and other chemicals are leached past the root zone of the grass or washed away by runoff. Runoff occurs because the soil is unable to absorb the water being applied. Runoff is affected by the precipitation rate of the sprinkler, the length of time the sprinkler is left running and the irrigation application slope, soil type, and root depth. Conserving water resources is one of the best ways to maintain high water quality. Don't use more than is needed. The plan will be part of a comprehensive landscape management plan that will address other cultural practices and issues such as mowing, fertilizing, etc. The irrigation system is a management tool and cannot replace the sound judgment of trained professionals. The benefits of having a professionally installed irrigation system are dramatic. Dragging hoses and sprinklers that seem to aid mostly in watering the atmosphere, as opposed to the ground, seems to be the standard in lawn care. 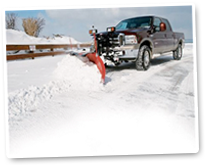 A professional system makes lawn care worry free. Aside from the savings in time and an awkward job gone by the wayside, the benefits go even further: increased efficiency means a greater savings. Watering via traditional techniques typically means inopportune times for the environment, causing increased bills, dead spots and water waste due to inefficient equipment.Having a professional install your irrigation system will insure the best methods and equipment to get the job done, which equates to an environmentally friendly cost savings. Having a beautifully maintained landscape can add thousands to the value of your home. When you call Green Hills Irrigation you are taking advantage of over 15 years of irrigation experience. 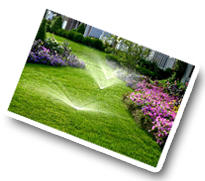 We take pride in designing and installing high quality, water efficient lawn sprinkler systems. Our systems match your landscapes needs, save you money on maintenance, and lower your water bills. Our systems are designed according to manufacturer's recommendations. We take the time to replace factory installed sprinkler nozzles with matched precipitation nozzles, for uniform irrigation. Double clamp all connections to ensure years of trouble free operation. We install only the best materials. Because some manufactures have better sprinkler heads and others have better valves, we uses our extensive product knowledge to pick and choose the best contractor grade materials from top manufactures like Toro, Hunter, and Rainbird. Backup our systems with experienced, reliable service and a 5 year parts and 2 year labor warranty.